Lifelong Bad Boy Puff Daddy dropped a mixtape called MMM back in the fall, and now he's delivered some accompanying visuals for that release's "Blow a Check." The track features guest spots from French Montana and Zoey Dollaz, while the clip sees the group literally burning through stacks of dough. Money litters Diddy's bed, TV set and even the bathroom floor before the rapper realizes that it seems to work really well as kindling. Puffy and his pals even recreate a party straight out of Wolf of Wall Street, where the vodka, cocaine and loosened ties give them the energy to, well, burn more money. 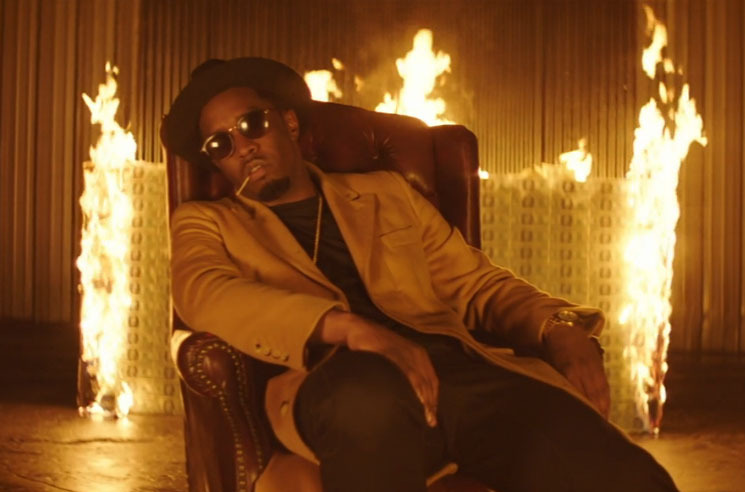 Watch Puff Daddy and his crew set the set ablaze in the new clip for "Blow a Check" below.